Update: As things sometimes do on the broken-telephone world of internet news, Chen Pudong’s statement was mistranslated, and presented here incorrectly. In a statement to us, Lenovo assures us that the Moto E and G are alive and well, and will receive updates this year. Where things may change is how they are represented, since the Vibe line, Lenovo’s Chinese line of smartphones, may intersect the same price points. “Chen Xudong’s remarks to Chinese media have been misunderstood. Although we are simplifying the combined Motorola and Vibe portfolio, we have no plans to retire Moto G, our most successful smartphone, or Moto E.
We will focus on the Moto and Vibe product brands moving forward, with each brand having its own purpose and target audiences. Together they enable us to give smartphone users all around the world the power to choose the device that’s best for them. Certainly not the death knell we claimed earlier. Sorry for the confusion. It turns out there’s more happening at the company formerly known as Motorola than a simple name change. In an interview with Digital Trends, Chen Pudong, senior vice president of mobile at Lenovo, outlined a significant shift in strategy for the historic phone-maker. In 2016, the company will change its focus to exclusively developing flagship smartphones that feature 5-inch and greater displays. 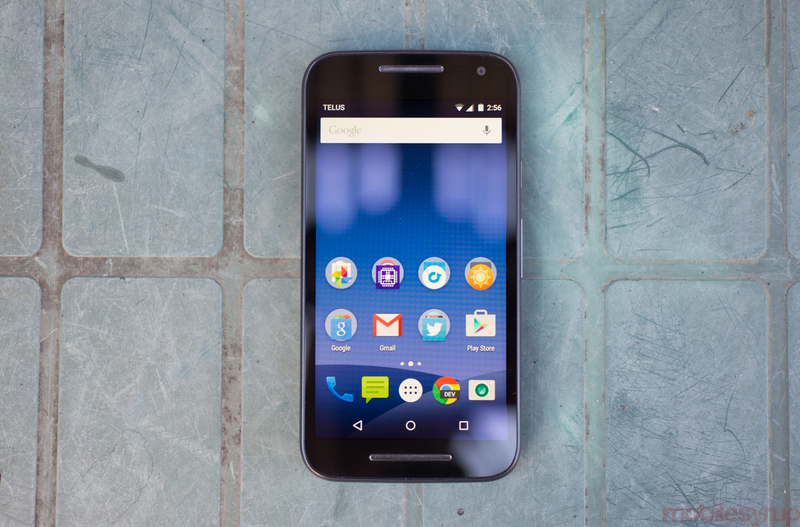 Perhaps most significantly, as a part of the move, the Moto G and Moto E, both considered excellent phones at their respective price points, will not receive new iterations in 2016. With the Canadian Dollar in its current condition, the loss of affordable and compelling devices like the Moto E and G is sure to hurt Canadian consumers. If there’s a silver lining to the news, it’s that moving forward, all phones bearing the Moto name will ship with fingerprint scanners. When it came to integrating fingerprint authentication into the experience of using a smartphone, Motorola was one of the most forward-thinking smartphone OEMs. The Atrix 4G, released in Canada in 2011, was one of the first smartphones to include the feature, and based on leaked prototypes, it’s clear Motorola was keen on perfecting the feature. However, Apple’s acquisition of AuthenTec, then one of the only suppliers of fingerprint authentication technology, in 2012 for $356 million meant that Motorola, as well as other Android OEMs, found it difficult to source the component at the scale needed to outfit an entire lineup of phones with the technology. It’s obvious Lenovo needed a new mobile strategy, but it’s hard to say if this is the one that will help the company find success. Even with its recent troubles, Samsung is still synonymous with high-end Android smartphones. Likewise, despite the success it found with laptop computers and the ThinkPad brand, Lenovo has been slow to adapt to other competitors in China like Xiaomi and Huawei, companies that have shown they’re capable of putting out compelling devices at a fraction of the price of other Android OEMS.